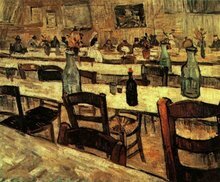 This is the café Van Gogh would frequent when he lived in the Yellow House. 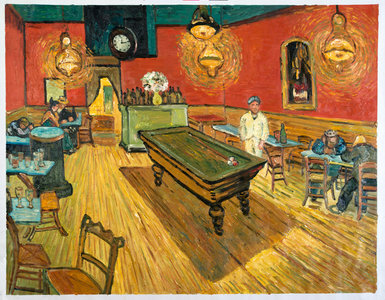 Many nights were spent in the establishment and in 1888, over three nights, Van Gogh painted his impression of the place. "I was in Arles in November. This is the best souvenir I can imagine. The thick brushstrokes our outstanding. 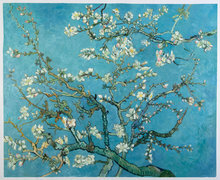 Just like Van Gogh! 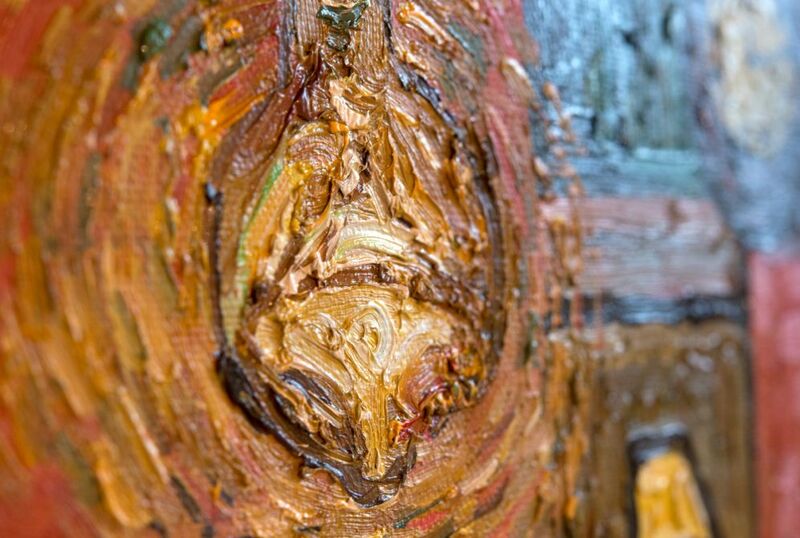 - Tatiana"
Van Gogh Studio is based in Amsterdam, nearby the Van Gogh Museum where we continue to study the original works. Our paintings are all hand-painted by both Dutch artists, and artists from other countries, starting out on their own individual careers. 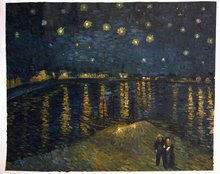 They have studied the technique of Van Gogh, including brush strokes, colour mixing, ambience and rhythm of application. 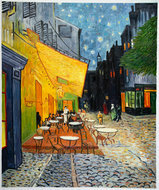 In The Night Café Van Gogh wanted to explore the darker aspects of the human soul. In a letter to his brother he wrote: ‘I have tried to express the terrible passions of humanity by means of red and green’. As time has gone on, the painting has become one of Van Gogh’s masterpieces, it has an expressionistic power in it’s moody colour construction and it’s lonely central character surrounded by other slouching drinkers. I was in Arles in November. This is the best souvenir I can imagine. The thick brushstrokes our outstanding. 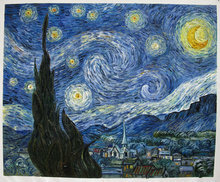 Just like Van Gogh!